While elderberry syrup is currently the most popular go to for those wishing to arrest the symptoms of colds and flues and to boost immunity before illness arrives, elderberry tincture is another way to achieve the same results. Elderberry tincture contains the same beneficial properties and compounds, but is created without boiling, without honey, and is more shelf stable. 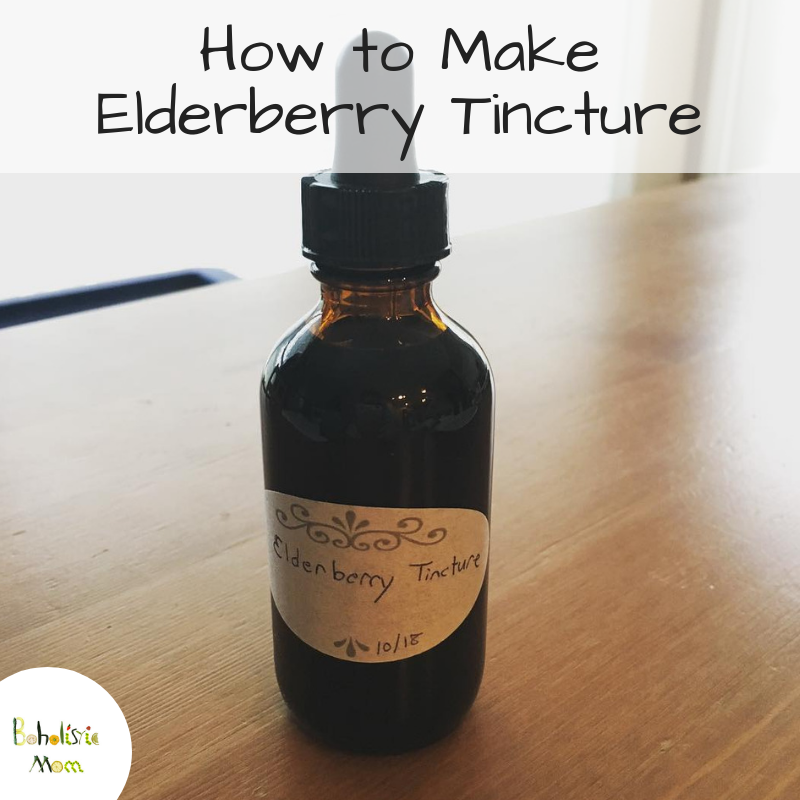 I love using tinctures of other herbs, so I was very eager to try this when I heard of another blogger tincturing her elderberries. Elderberries are not new as they have been an herbal supplement for years and have always grown naturally in the United States and in the rest of North America, Europe, Western Asia, and North Africa. Why do we hear of them so much more now? 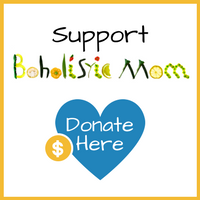 As more parents are moving away from medical options with a long list of side effects and risks, they are looking for natural ways to keep their families healthy. Elderberry is one of the solutions to this problem. The berries of the elder bush contain Vitamins A and C, quercetin, rutin, and anthocyanins, all of which are great for the immune system. 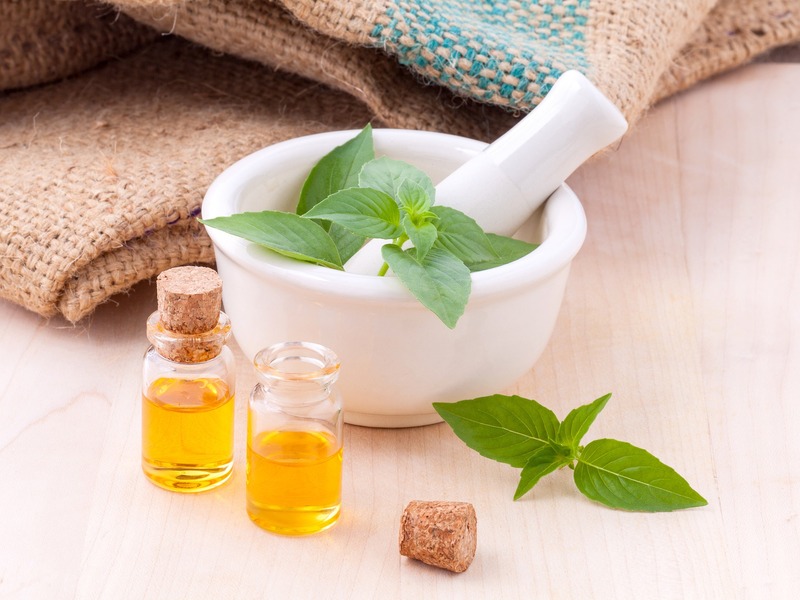 What we notice when we use herbs from nature is that they do not create an artificial response within our body, but have a normalizing effect. It is my belief that elderberry works to normalize the immune system rather than make it go in over gear. By giving the body what it needs to succeed against viruses and bacteria, we are not forcing our body to act, but giving it the ability to act. Do you love elderberry syrup, but hate throwing away the used elderberries? This this elderberry tea recipe is for you! Waste not, want not. Why waste all those beautiful elderberries after you make your elderberry syrup? 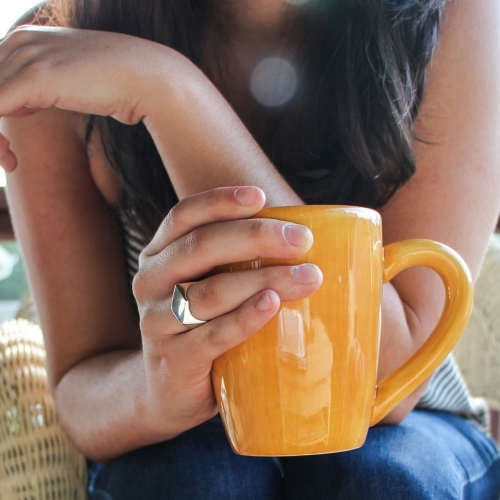 Use them again by enjoying elderberry tea. Boil 8 ounces of water. Place 2 teaspoons of the organic elderberries into the water. Let sit 4-15 minutes depending on desired strength, add more elderberries if you'd like it stronger. Since this will only use two teaspoons of your wet elderberries at a time, you can dry the used elderberries to keep using them as tea. You have two options for drying your berries. Take the elderberries and place them in a dehydrator and dehydrate them until dry. Spread the berries across a jelly roll pan (the type with short edges) and turn your oven to its lowest setting. Heat the elderberries until they are fully dry and store in a mason jar. Organic Elderberries - Check out Vitacost for better prices. I’m so I saved you from throwing out your elderberries! That was a close call 😉 If you love me every so much more for saving you from this terrible deed, let me know! 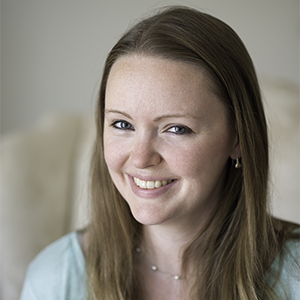 Comment below or come over and visit me on my –> Facebook page. 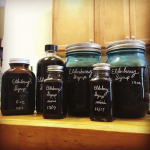 Have you been thinking about trying your hand at making elderberry syrup? Then this will be a great recipe to help you through your first attempt! I tried a few other recipes and I was so frustrated with the instructions, my hope is that this recipe will make it all clear and help you get it right the first time! Enjoy! Elderberries have been used through the ages to help people who are sick and need a boost. Elderberry tonic, wine, and syrup have their place in history . . . and in our cupboards. Use the recipe below to help you and your family build up their immunity and fight off any unwelcome visitors! Fill pot with 4 cups of filtered water and add elderberries, ginger, cinnamon, and cloves. Note: Do NOT add raw honey at this point. Bring mixture to a boil, then reduce to a simmer for 45 minutes to an hour. The liquid will reduce by half. Note: Do NOT cover. Pour the elderberry juice through a colander or strainer into a bowl. Let the liquid cool almost completely to keep the raw honey from being heated. Mix the honey into the elderberry juice stirring until fully combined. Pour the mixture into mason jars or glass bottles. Store your DIY Elderberry Syrup in the refrigerator.